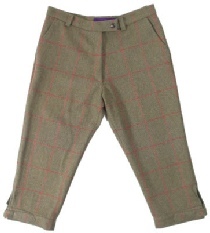 Tweed breeks designed and made specifically for ladies. Made from the finest wool tweed and lined with satin. The perfect compliment to a shooting coat or jacket from the Beaver Of Bolton ladies range. Waterproof Spec. Available please email for more details.